I was hoping to finish 5 books this month, but alas, I only managed 4! I am currently reading a book that I was sure I’d get read by the end of this week, however, I’ve been mad over the World Cup this year that I’ve spent all my time watching the football! It’s a shame but I’m off on holiday (finally!!!) so I should catch up with myself while away. I had to put 2 books down this month as DNF’s! That’s a big deal… especially since one of them was Baby Teeth by Zoje Stage which I have been looking forward to FOR BLOODY AGES!!!! I still need to post my reviews for both of these books, but basically, they were both very boring… Also, The Recipient by Dean Mayes had such horribly cliche characters, I couldn’t cope! I actually can’t choose a favourite this month. Both of the 5-star reads were just as good as each other, but for different reasons. I love Ira Levin’s writing, so it’s kind of a no-brainer that I was going to love The Stepford Wives, but Maureen Lindley’s book, The Beloveds, was superbly unique and well written! I highly recommend both books! For this theme, read a book you were meant to read in 2017! I actually pre-ordered this book last year because I was so excited to read the “sequel” to The Girl With All the Gifts, however it arrived, I put it on my shelves and totally forgot to pick it up! I thought this would be the perfect holiday read for me, so I’m finally going to pick it up and rejoin the world of The Hungries. Join the club and tell me what you’ll be reading in July, here! I’m still a bit shocked that I’ve only read 24 books this year… it feels like more! Here are the pics I posted on IG this month! Now I’ve started my new theme, I’m aiming to post a lot more than just my current reads, so there will always be a larger number of IG posts to showcase going forward from here. I’ve only found one new artist this month, but it’s such a goodie! 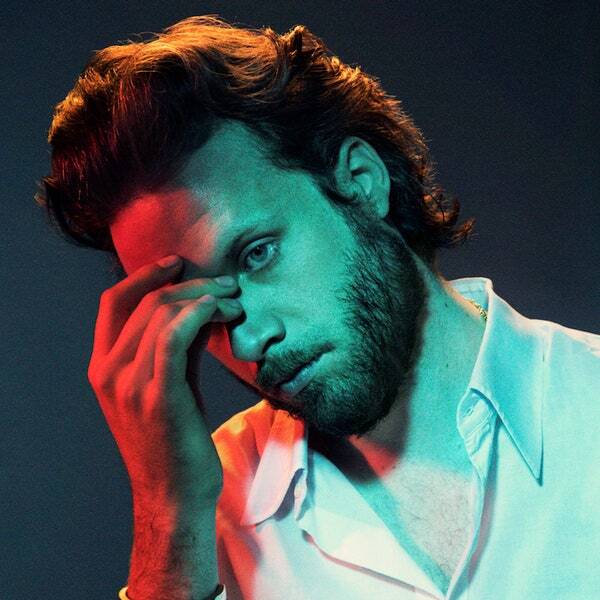 I’ve discovered my love for Father John Misty. I scrolled past the cover on the new album releases page on Spotify and was instantly drawn to the moody good-looking man on the cover. At first, when I listened to it, I didn’t love it, so I didn’t save it. But, the music kept playing in my head and I’d find myself humming it so I went back, saved it, and now I love it! My favourite is Mr. Tillman. This month 2 of my colleagues got married and as I work in the wedding industry, of course, we celebrated with a work hen-do! It was a really nice night out with a load of the girlies from work. Plenty of alcohol was consumed and there was a lot of dancing! Other than that, I haven’t really done an awful lot! I’ve been trying to save for the holiday (which has not gone very well… I have no money left!! My payday is the last day of my holiday 😭😭😭) so I’ve been spending my time watching the World Cup (which I’m LOVING this year – weird!!) and making sure I’ve seen all the important people before I go away for two weeks (might seem dramatic but my besties and I are very attached). OH, ALSO, I ONLY WENT AND GOT CHILDISH GAMBINO TICKETS!! !1 He’s literally my favourite artist ever and I’M GOING TO SEE HIM THE DAY BEFORE MY BIRTHDAY!!!! My lovely, super wonderful boyfriend paid for the tickets as my birthday present! I’M SOOOOO EXCITED!!!! So that’s it for this month! And now I’m away on the two week holiday to France that I’ve only been talking about for BLOODY AGES! I hope you had a nice June! What were some of your highlights of this month? He’s definitely becoming one of my faves! I hope you enjoy The Stepford Wives ☺️ and thank you! Glad you liked Stepford Wives – it’s a book I want to read. Busy month! I keep trying to save and I fail miserably, haha! I’ll look forward to seeing your review for Baby Teeth!! I will eventually read the boy on the bridge too. Love the girl with all the gifts! Have a great holiday! It sounds like your June was wonderful. Mine has been a bundle of stress (work, cat, etc) but I have hopes that July will be better. Thank you! I had a lovely June. I hope you have had a better July so far!! It has been better so far, thanks! I hope yours is good, too!